CJSR at the Anarchist Bookfair! October 5, 2010 | Meagan Miller & filed under Uncategorized. Be sure to drop by the CJSR Table at the Anarchist Bookfair this saturday at the Cosmopolitan Music Society, 8426 103 St (Just behind the Old Strathcona Farmer’s Market). There will also be vendors and information tables from all over North America, as well as interactive workshops. On Friday night check out CJSR chart toppers like Ben Disaster, Krang and Audio/Rocketry at the bookfair, as well as a keynote presentation by No One is Illegal. 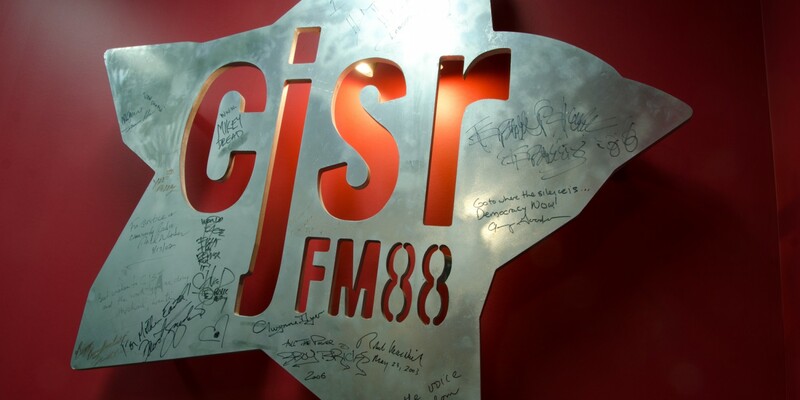 This will be one of your last chances to pick up some cheap CJSR swag before our annual Fundrive, October 27th-November 6th, where a bonanza of hot new swag will be available. Keep posted for further details on our upcoming Fundrive!